Vancouver based photographer Douglas Curran first met members of the Chewa people while working on a film in Zimbabwe in 1992. The Chewa he met were migrant workers from Malawi employed on plantations and in mines. 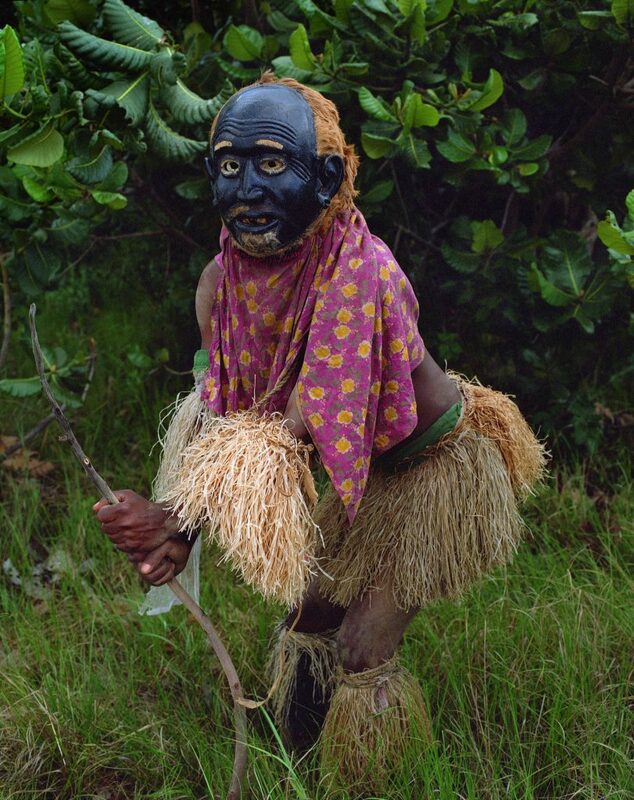 Over a period of several years he gradually became integrated into this community in Malawi, photographing and filming their extraordinary rituals associated with a belief system known as Nyau. 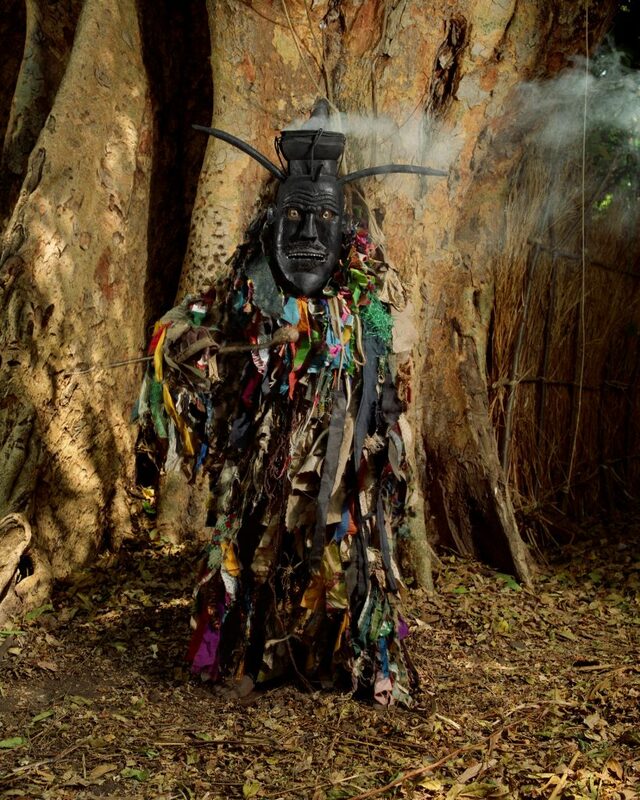 The Chewa rituals and their masks are part of a complex and spectacular set of beliefs that Curran has been encouraged by the Chewa to document. 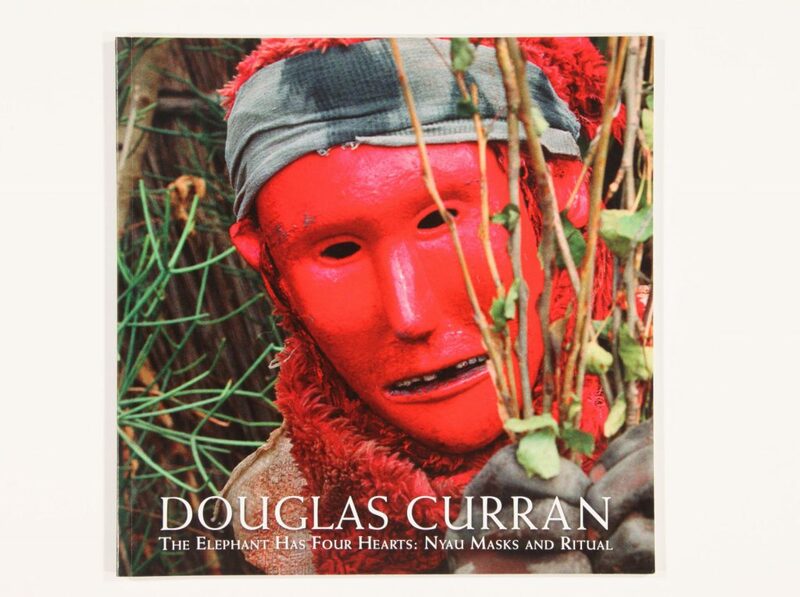 Curran, no longer an outsider to this culture, has created a stunning pictorial record that invites dialogue about recording the lives of others, and forces comparisons with contemporary performance art. The exhibition will consist of photographs, video and a sampling of masks. Presentation House Gallery made a catalogue in conjunction with the exhibition. which includes text by Douglas Curran and Bill Jeffries. 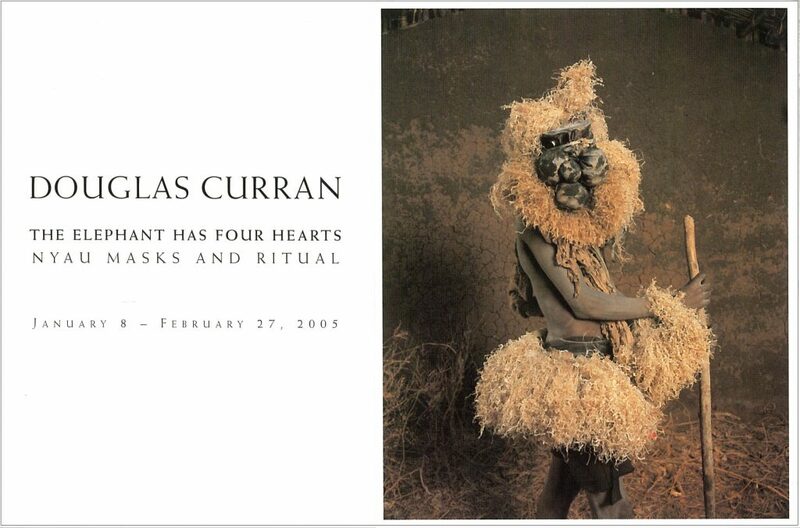 Poster for the exhibition "The Elephant Has Four Hearts; Nyau Masks and Ritual"
Our 2005 exhibition by Vancouver based photographer Douglas Curran is a stunning pictorial record of members of the Chewa people of Zimbabwe. 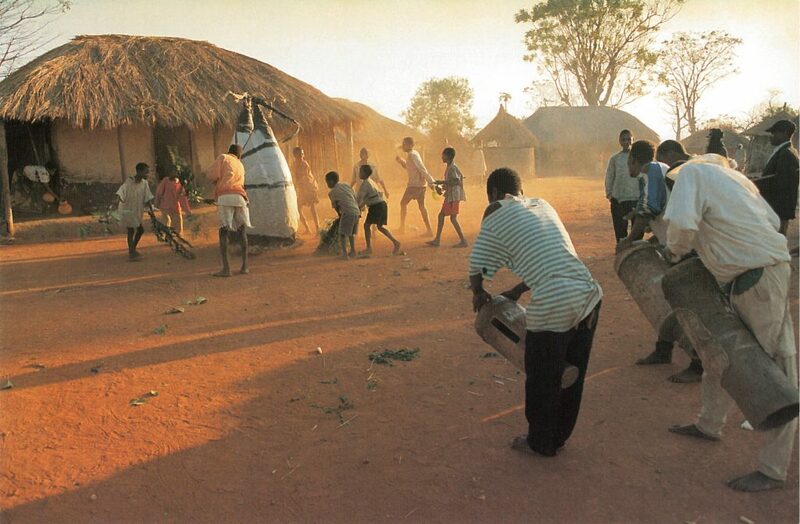 Curran first met members of the Chewa while working on a film in Zimbabwe in 1992. 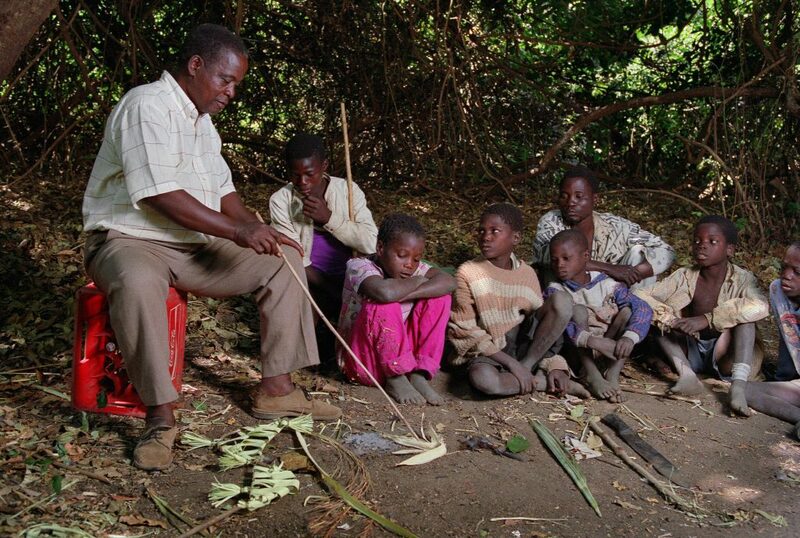 The Chewa he met were migrant workers from Malawi employed on plantations and in mines. Over a period of several years he gradually became integrated into this community in Malawi, photographing and filming their extraordinary rituals associated with a belief system known as Nyau. 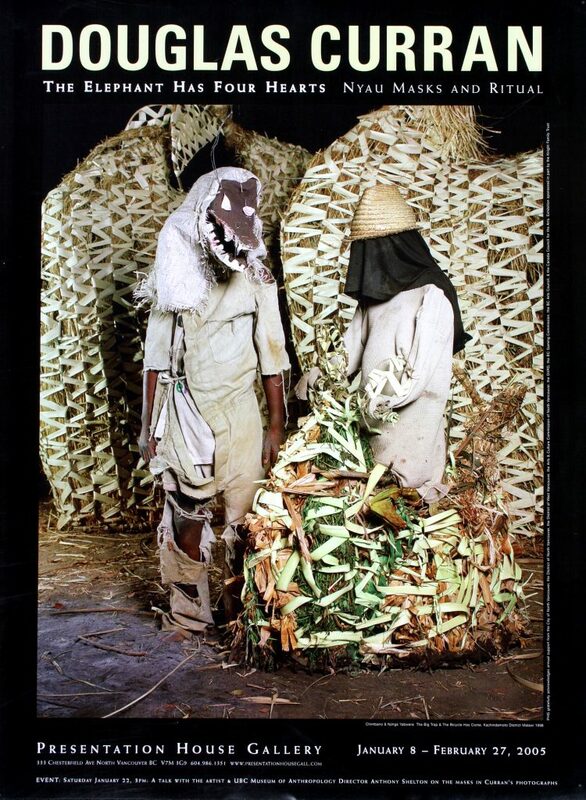 The Chewa rituals and their masks are part of a complex and spectacular set of beliefs that Curran has been encouraged by the Chewa to document. The exhibition was curated by Gallery Director Bill Jeffries. Touring Exhibition: The Art Gallery of Calgary, Calgary, the Tropenmuseum, Amsterdam and Origin's Center, Johannesburg, SA.